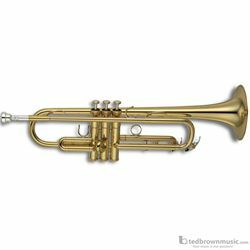 The Z was born of Yamaha' s long and close partnership with the legendary trumpeter Bobby Shew. Bobby is an incredibly versatile player, and to meet all his playing requirements he wanted to create one super efficient instrument which could scream out a powerful lead line, or play soft, mellow ballades. He finally found that instrument in the Z. When we decided to try to improve the Z, trumpet designer Shunichi Niwata and R&D specialist Bob Malone worked together with Bobby, passing into it all the special techniques we'd learned since designing the first Z. And the results speak for themselves.